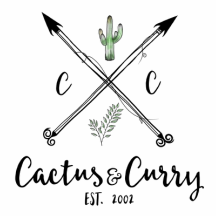 Pilot - Cactus and Curry - Get your bloom on! David had always dreamed of being a pilot as a young boy. And being raised in Malaysia as a missionary's son, his chances were slim. However, he settled in Germany, his mother's homeland, at the age of 17 and finished up his schooling in the German school system. He continued on shortly after he graduated, to fulfill his dream of becoming an Airline Pilot despite all of the struggles and criticism. On his own means, which was little to nothing, he began his adventure of testing and training and eventually accomplished his childhood dream. Today he is a Captain for a well-known German Airline.